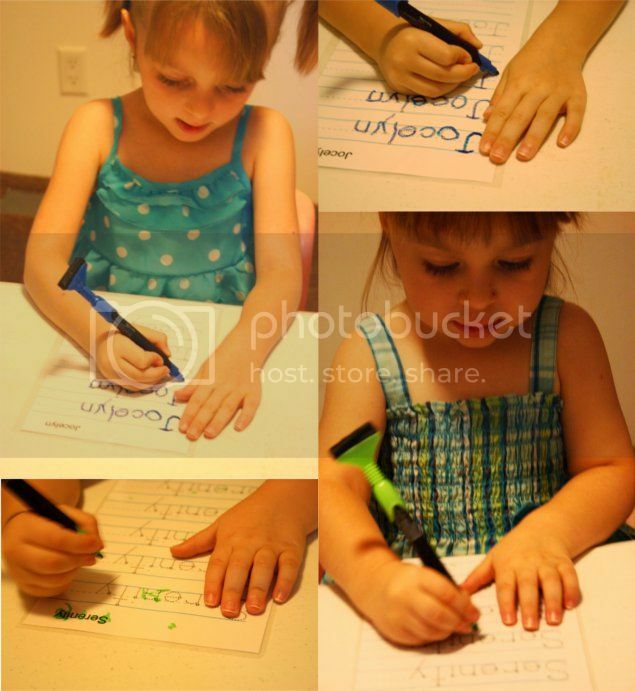 Creative Homeschool: First Day of School!!! Today was our first day of school!! Not officially. I say that because the girls are still young. I won't consider it official until Jocelyn is school age and we have to actually report that we are homeschooling. I am using this opportunity to figure out the girls' strengths and weaknesses, what we need to work on and what they already know, as well as their likes and dislikes. This way when Jocelyn officially starts kindergarten we will have a clear picture of our goals and what we need to work towards. 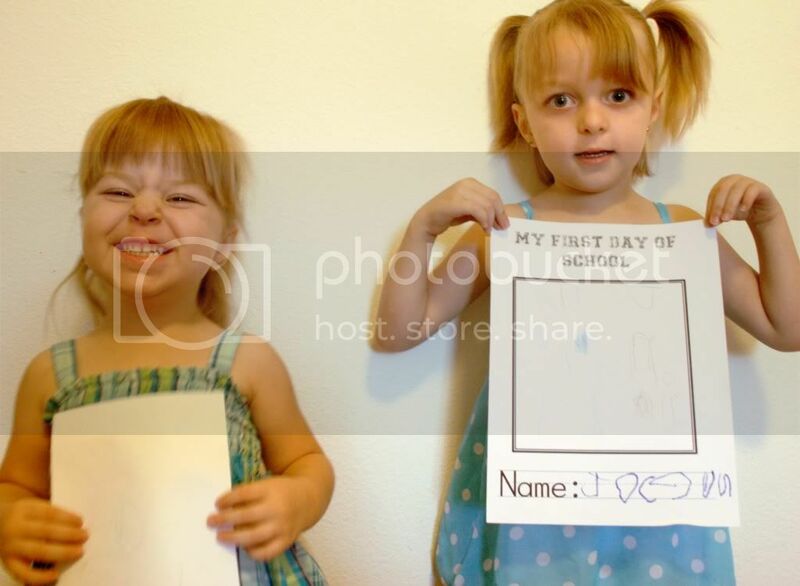 "First Day of School" drawing and name. Jocelyn's drawing is so light that I could not get it to show up in the photos. 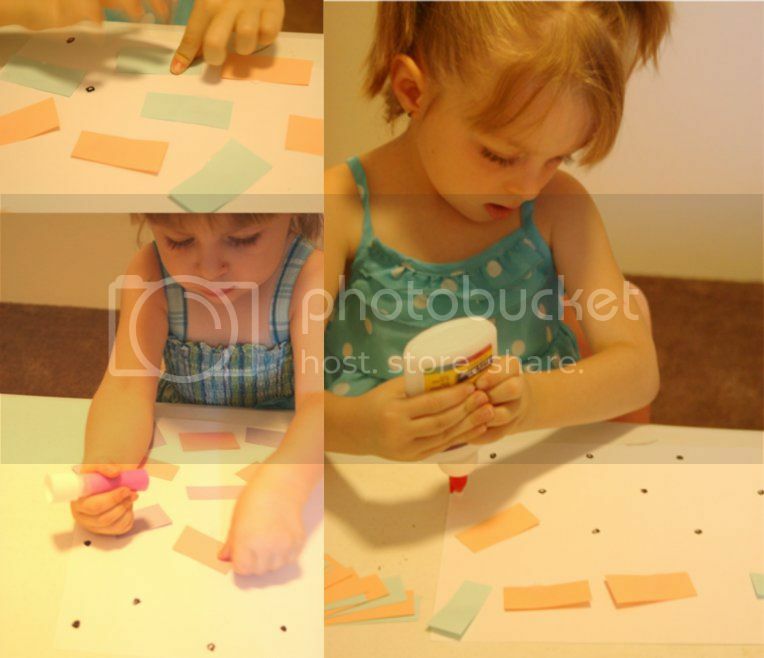 It's a picture of her and sister sitting at the table, tracing their names. Serenity just drew some scribbles on a piece of scratch paper. Don't you just love that smile? Name Tracing. Both girls did really good with this. Serenity surprised me with how well she could trace. I was expecting more scribbles. Our class pet. I found this guy while cleaning out the garage a couple days ago. When I first found him he had just started his cocoon. I woke up the next morning to this. Looks like a big clump of hair. I've never seen one like it before. 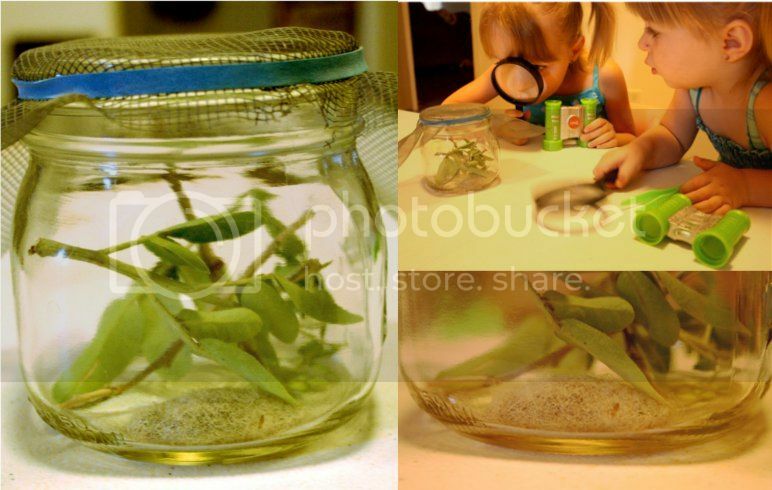 The girls are really hoping for a butterfly but I'm betting on a moth. Clothes pin matching. 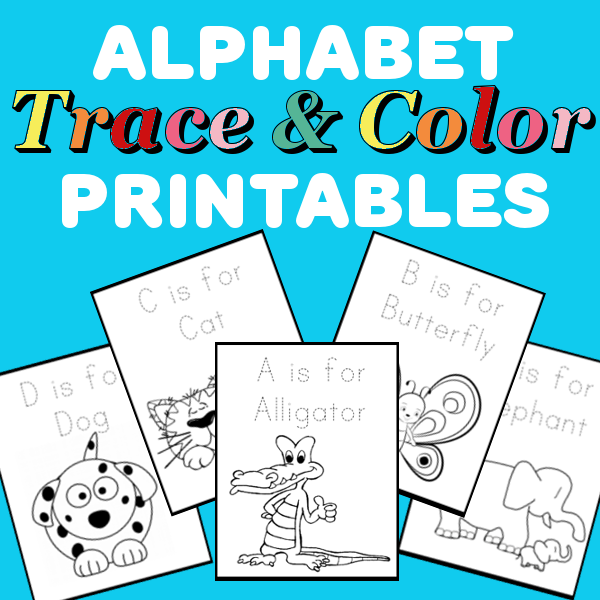 I found these fun printables at Confessions of a Homeschooler. Jocelyn loved this and did it 3 times. Serenity counted a few of the spaces and I helped her match them with the correct number. Position. We lined the dinosaurs up (we also used other objects not shown) then I would ask questions such as; "Which dinosaur is behind the blue one? ", "Can you place the large dinosaur next to the green one? 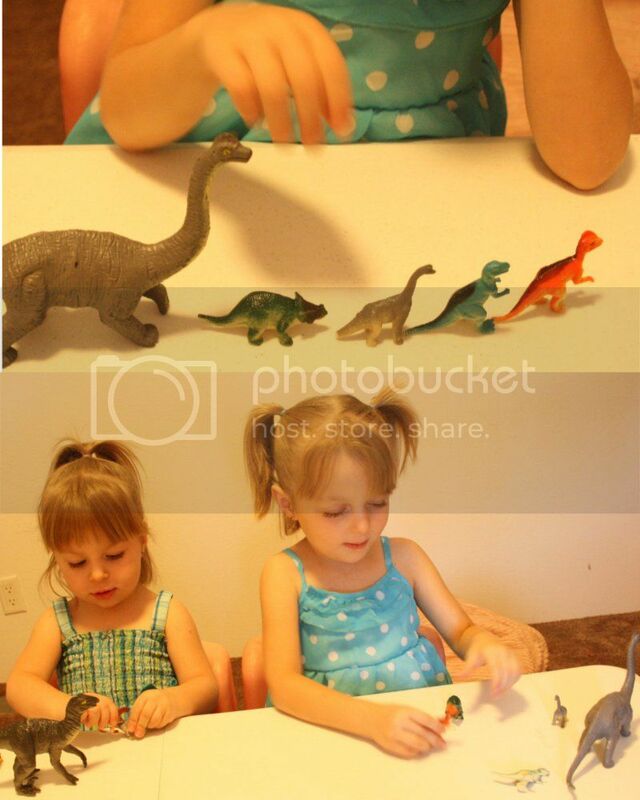 ", "How many dinosaurs are in front of the orange one?" Jocely was curious about what dinosaurs eat so this activity then led to a discussion about plant eaters and meat eaters in which Jocelyn decided to act out the meat eaters chasing the plant eaters. Gluing. The girls were handed some paper with dots on it. They added a small amount of glue to each dot and then pressed a piece of paper on to the glue. We started wih glue sticks and then moved up to Elmer's glue. At the end of the day Jocelyn told me that this was her favorite activity. Painting sticks. We went for a walk and gathered up 20+ sticks. When we got back the girls had a blast painting them. Although I think Serenity got more paint on her than she did on the sticks. You can't tell in the picture but she painted her underarms blue. These sticks will be used for a few counting activities later on. Greater than less than. I drew two squares on our dry erase boards and places some beans in each square. 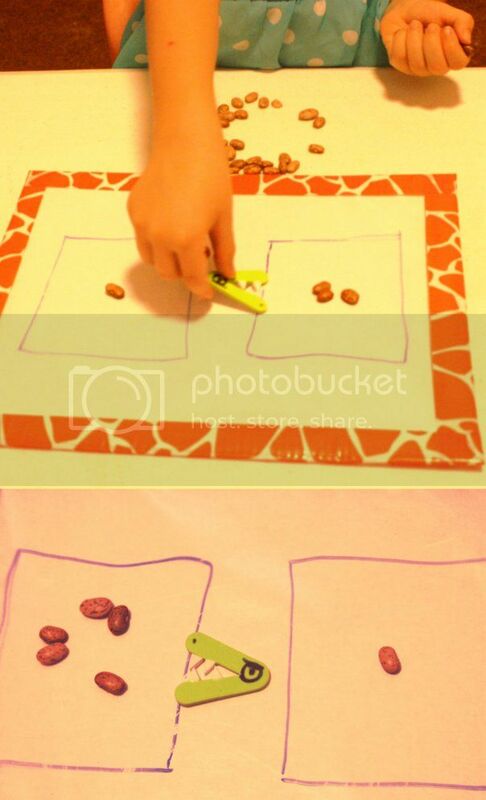 Jocelyn then select which square had more beans and placed the alligator accordingly. I was surprised at how fast she picked up on this and how much she loved it. She thought it was fun to make the alligator eat the beans! Site word practice. 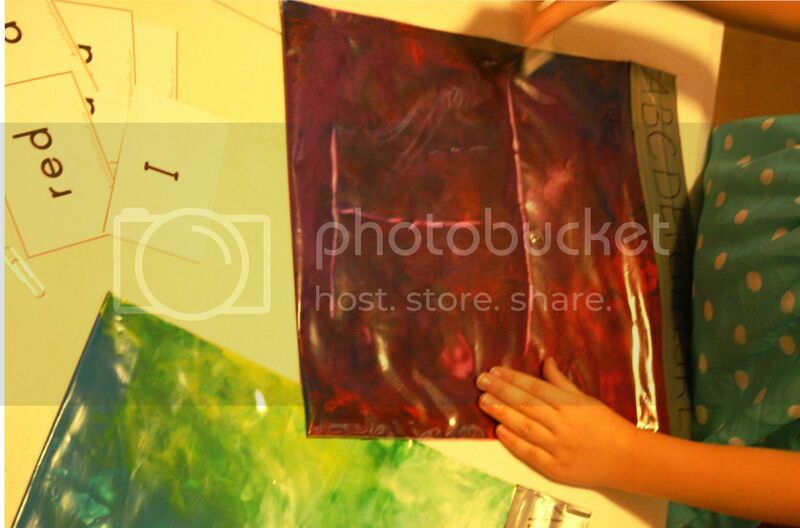 Jocelyn used some mess free painting bags to practice her site words. She did each word a couple times then I just let her play with the paint for a while. She liked squishing it with her fingers more than anything. 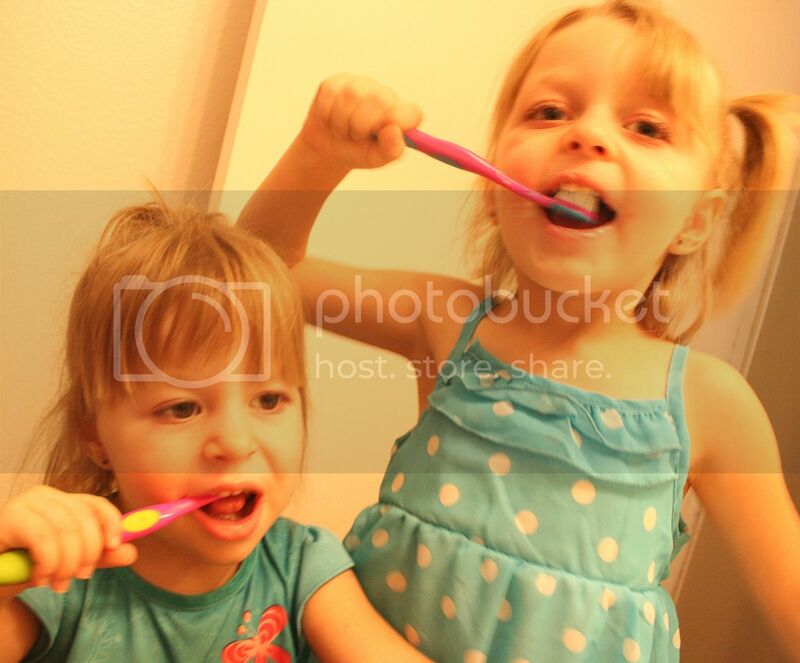 Teeth brushing. I stuck some play dough (plaque) in large legos (teeth) and gave the girls some yarn (floss) to clean the plaque out. I took a bunch of photos but they were erased when I transferred them to the computer. I got the idea HERE. Then after lunch the girls brushed their own teeth and we talked about the proper way to brush and how long they should brush for. Music. The girls played with maracas, handmade rain sticks, drums (empty cans and spoons) and took turns at the piano. 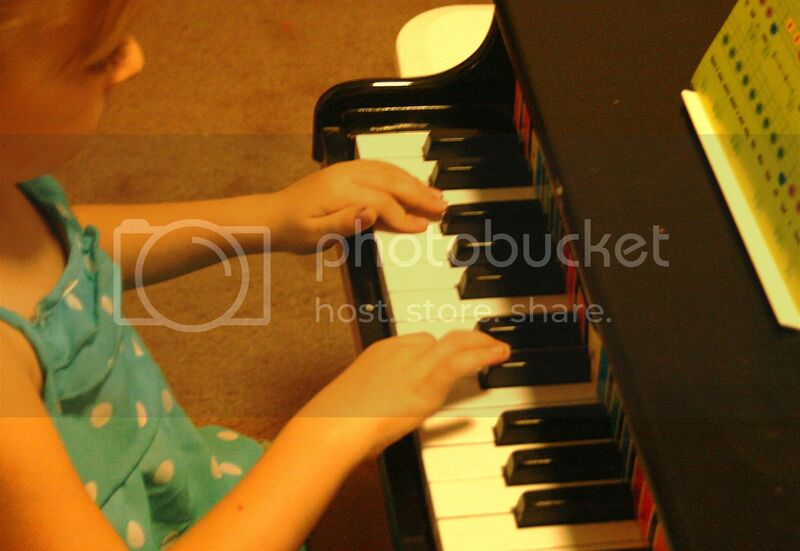 Jocelyn played the first few notes of 'Twinkle, Twinkle Little Star' but then decided to make up her own music. After school was over with both girls kept asking to do more. I'll take that as a good sign. Hope you enjoyed reading about our first day of homeschooling. Aw! You've got some cute photos there! Love the grin in the first photo...and the painting. LOL Looks like a wonderful week of school! I miss this age! :( My youngest will be starting 2nd in the fall...and my oldest HIGH SCHOOL! What fun!! You have some wonderful activities here....i shall enjoy reading about your adventures!Thanks so much for stopping my my blog recently! Off to follow you now...nice to visit another blog with a 2 yr old! The 2's are such a fun age! Thank you so much for stopping by and becoming a new follower. I love you blog too! I bet they didn't want school to end! Looks like a great day. Some fab ideas there - I think I may do a more than/less than activity with my lad. Thanks for sharing. Such great activities! 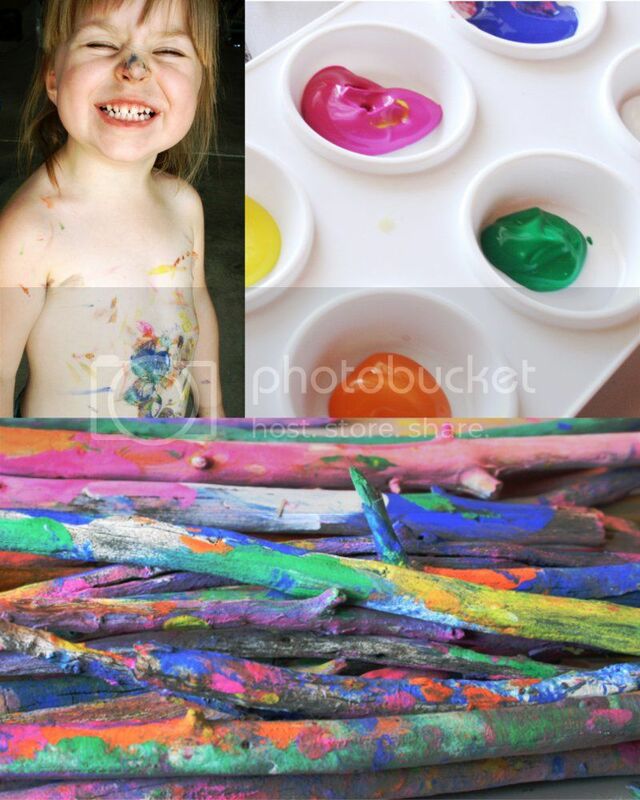 Thanks for sharing on Hey Mom, Look What I Did at Adventures In Mommy Land!! I LOVE the big smile on your youngest daughter! So sweet! I think your idea to put playdough into a large lego block and have your daughters floss out the plaque is great! 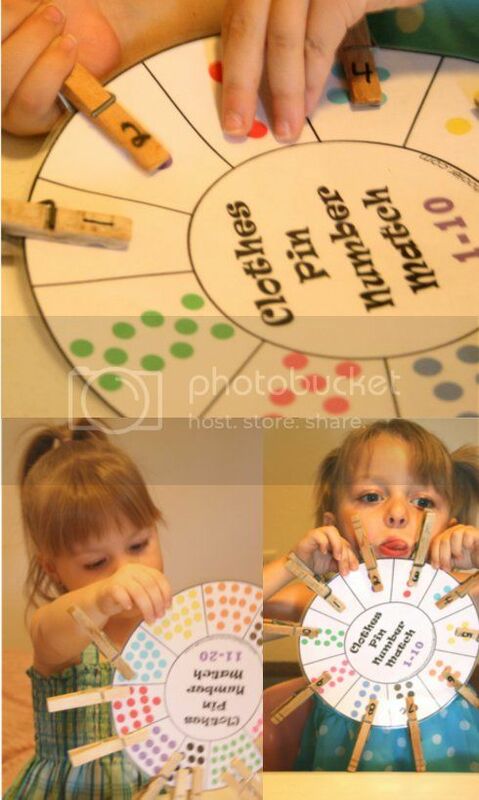 What a great hands on visual activity to enforce dental health. Thank you for linking up this week to my Enchanted Thursdays Blog Hop!